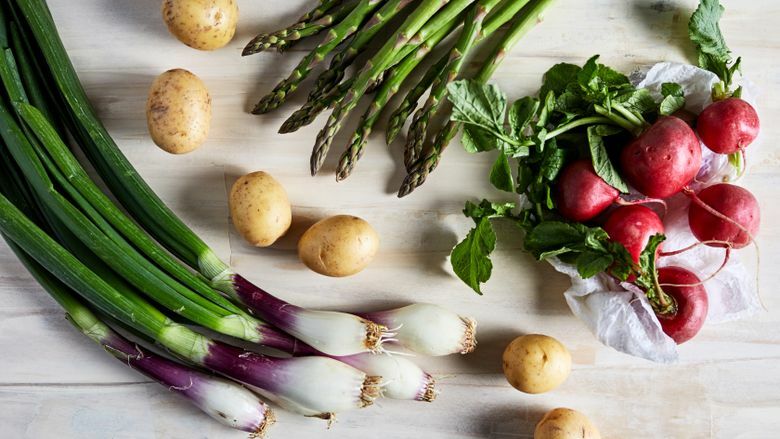 Spring is here, so embrace it with these tips some of the season’s produce stars. (Photo by Stacy Zarin Goldberg for The Washington Post; food styling by Lisa Cherkasky for The Washington Post). The arrival of the earliest spring produce is absolutely thrilling – at least for me. But then I lead a pretty tame life. Even if seeing those first spears of asparagus and cherubic radishes doesn’t send you into the same paroxysms of joy, there’s still a reason to celebrate.